^^ She wasn't in the mood for cute smiles...and is now in that phase where she thinks it is oh so funny when she closes her eyes for pictures, so lets just say I felt lucky to get this. 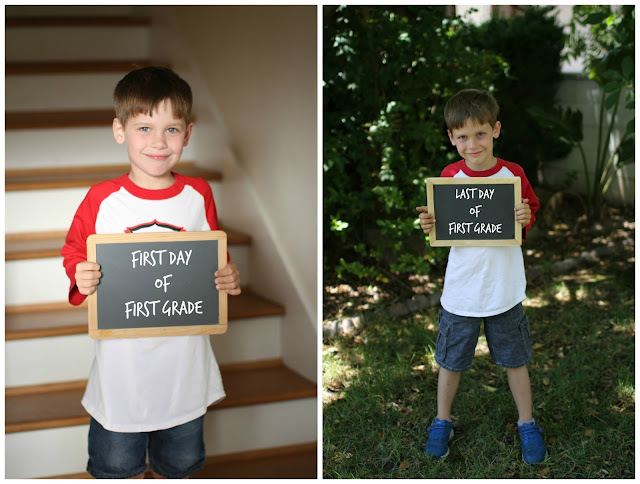 Last week was both the kids last week of school. Isla ended on Wednesday and Connor on Thursday. A mom in Isla's class actually hosted all the girls in the class for a mani-pedi party after school and then she had graduation that evening, which I think I will talk about later, but imagine Isla starting a dance party in the isles during her graduation...true story. Connor's last day of school was met with more sadness than Isla's. I think he is at that age where he just understands it means he doesn't get to see his friends all the time anymore and he won't have the same teachers again. But he had a fun last day of school full of yearbook signings, movie watching and fun award getting...though he was given the "jokester" award and was totally offended by it. Ian and I find it hysterical and ironic that he was offended by it because, lets just say there have been numerous times we have been talked to by his teachers about his jokes coming at the wrong times or going too far. Memories though...stories I can share with his kids later, or use to comfort his wife later when it's his kids acting that way. Isla truly said she wanted to be almost everything and that there are just so many things she wants to be that she cannot choose. Connor, on the other hand, wants to be a waiter at a diner in town, no less. #lifegoals. The good news is, in a thing he brought home from school on the last day, he said he wants to be a software engineer (I didn't even know he knew what that was!!!) so there is hope that he won't be living with us well into his 30's. And just like that, the school year is over. 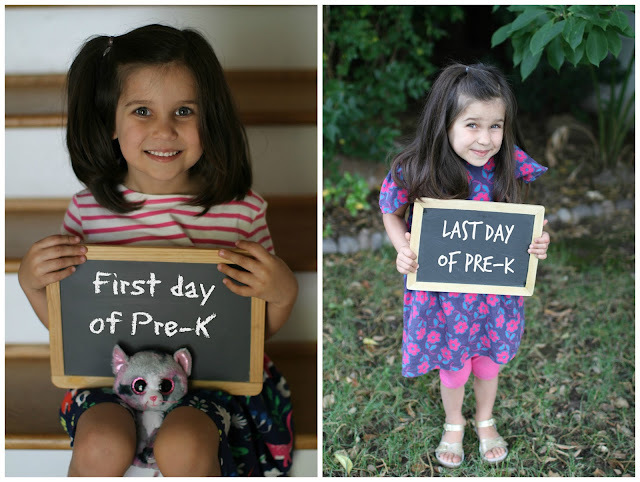 Preschool is behind us (cue all the tears). But summer man. No alarm clocks. Pool time. Play dates. Travel. It will be bliss.